"I am trying to capture from a VHS source to a MP4 video file, although not directly." "I had several vhs tapes (home videos) that were transferred to my computer via firewire and are stored as DV-AVI files (NTSC). I would like to convert VHS tapes to MP4 files so that I can have these movies in a much more portable file size and format." Before DVD achieving mass acceptance, VHS (aka Video Home System) was once the dominant home video format as the preferred method of distribution. If you've ever leaved in a period between 1980s and 1990s, you might probably collect a slew of VCP & VHS tapes to cherish your precious memories. But with time passing by, people are now prone to convert VHS to MP4 video format, as a move to either spare themselves care of VHS tapes, prevent them from data loss, save more storage space, or make VHS tapes portable. Whatever, reasons to change VHS format to digital MP4 or DVD format can be various but process regarding to VHS to MP4 conversion can be tricky, since there isn't any software available to do the task directly. Be sure to check our best answers of decoding VHS tapes to MP4 digital format below. 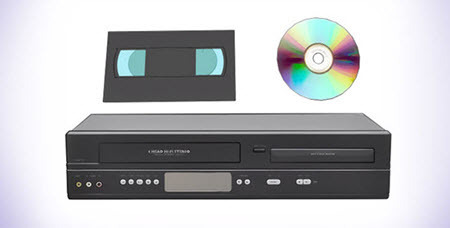 Preparation: Please get a VHS/DVD combo player available for you to record from VHS home movie to DVD (which can be ripped to MP4 and other digital files on your PC or Mac with a professional DVD ripper). Alternatively, you can connect a VHS player to a DVD player with recording capability. Step 1: Connect your VHS player to your computer with a cable. 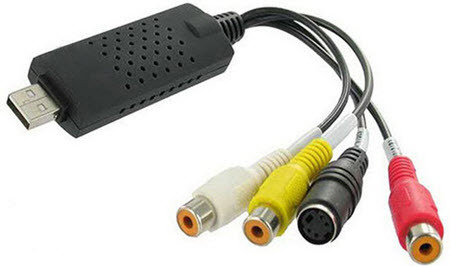 Note: Make sure you have a special Scart cable with red, white and yellow cords. Check if your VHS/DVD combo player comes with these outputs. Please don't use front-mounted white, red and yellow cables as there are always inputs rather than outputs. Step 2: Insert your VHS tape into the player and a blank DVD into the DVD player that can write over DVD-R disc or DVD-RW. Step 3: Press play on the VHS controls and start recording VHS to DVD by hitting record on the DVD controls. Note: It makes no sense to burn VHS to Blu ray as the source file VHS tapes come with poor image quality, making it a waste of money. While, compared with Blu ray, DVD is cheaper but offers better quality than VHS tape. Second to convert VHS to DVD, there involves in ripping DVD to MP4 to complete the VHS to MP4 conversion. Just like VHS tapes taking up a great space, DVD discs don't get this relieved. On top of that, people nowadays are more prone to get these discs a wider access to their electronic devices. So converting DVD to MP4 makes reasonable. The world-renown MacX DVD Ripper Pro (DVD ripper for Windows) will suit your need, capable of ripping DVD to MP4 as well as other digital formats MOV, AVI, WMV, MKV, MTS, MP3, etc. Best of all, you can even directly play VHS tapes on iPhone (Xs/X/8/7/6s/6), iPad (Pro), Samsung Galaxy S9 edge, PS4, and other mobiles as it is infused with 360+ preset device profiles, all at your fingertips. Note: This DVD ripper deals with any DVD copyright protection, including Disney X-project protection, Sony ARccOS, CSS, region code enhanced, etc. But this software company advocates any DVD ripping for fair use. 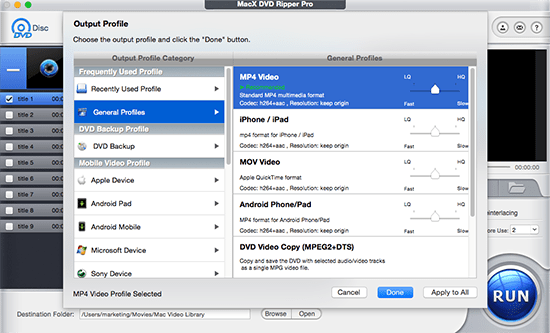 Just follow the steps below to rip DVD to MP4 using MacX DVD Ripper Pro. Prior to it, please make sure to free download it on your computer. If you are running on PC, don't forget to get the windows version on your desktop. Step 1: After opening the software, click DVD-shaped button to load the source file. Step 2: When a drop-down window pops up, just choose the output format MP4 from the list of numerous formats for your VHS conversion. Optional: You can tweet the output video quality settings, like parameter, resolution, bit rate, etc to fulfill your high-quality requirement. Or enable the multi-core CPU to make a fast DVD to MP4 ripping process. Or else, edit the DVD video, crop it, and even add subtitles to MP4 file before conversion. Step 3: Tick off the Browse button to save the output file and then hit the RUN button to start conversion. It takes less than 30 minutes for a 2-hour VHS tape. VHS simply means Video Home System, which refers to videocassettes of JVC in particular. Nowadays, VHS is ignored due to its cumbersome size, inconvenience to store, reliability to damage, and low compatibility rate, compared with digital file. Many people tend to convert VHS to MP4, DVD or other file format for playing.